Having said that, I can’t believe we are at the end of January already – one twelfth of the way through 2019! It’s our first newsletter for the year, and I would like to take this opportunity to wish you a truly fantastic year. May 2019 be happy and prosperous! To start the year, I thought it would be good to reflect on our successes this year and share where we are as a business right now. 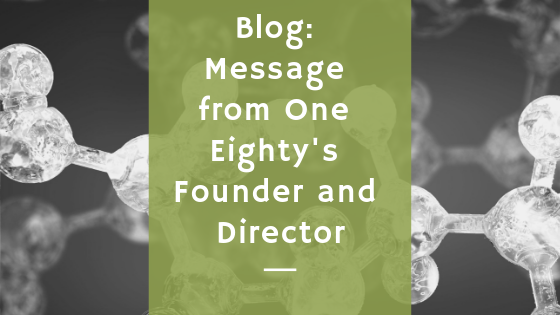 2018 was both a highly successful and a very interesting year for One Eighty. We have morphed into an organisational structure which has largely been driven by the needs of the industry and by many strategic changes implemented by our General Manager, Paul Swanepoel, who specialised in organisational structure during his MBA. The company is lead now by four strategic business units, namely Metal Alloys, Advanced Materials, Capital Projects and Laboratory Function. Each unit is led by a graduate engineer and assisted by junior engineers and technicians. Within each unit we provide our failure investigation service, our product optimisation service, materials selection and problem solving. We specialise in solving problems with engineering materials, whatever those problems may be. 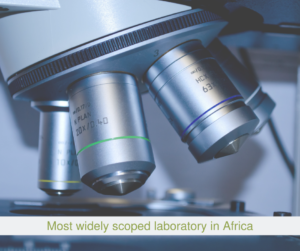 We have made massive strides within out laboratory function unit in that we are now the most widely scoped laboratory in Africa. This means that we are SANAS accredited for the greatest number of test methods for metallurgical testing. Achieving this was a massive undertaking but thanks to our Quality Manager, Maxime Ellard, and the contribution of our Laboratory Manager, Bhongo Mzizi, we did it! We launched our Capital Projects unit last year and it has gained very good traction, which shows that our vision to provide metallurgical and materials expertise to optimise any Capital Project is well received – and we look forward to expanding our reach in 2019. I am very proud of the team of people that are One Eighty. It is a dynamic group of highly capable engineers who share the vision to be the African partner of choice for materials engineering solutions of today and tomorrow. 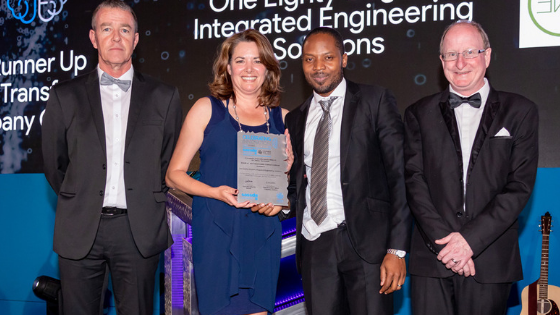 It is because of this team of people that we could be eligible and awarded the South African Stainless Steel Development Association Award in the Services Category last year, which was a great privilege and very humbling. We must thank the industry and the willingness for industry to engage with us for more than 16 years now – because it is only through your willingness to engage with us over the years that we have been able to understand your needs and then provide a service that meets these needs. We are constantly evolving as the industry evolves, we believe it is important to always stay relevant. As the Managing Director of One Eighty, I am very proud of how we have grown and evolved as a company, and of where we are right now. 2019 is indeed an exciting year, and I look forward to building on our firm foundation during this year, and to continuing to be part of the journey that our valued customers are also taking. In our February newsletter, I will take more time to introduce you to our incredible team. If there is anyone else you know who would appreciate receiving this newsletter, please let us have their details. We always appreciate any feedback and questions. Please send them to info@one-eighty-degrees.com. We look forward to a wonderful 2019 working with you. Join our monthly newletter mailing list to stay up to date with our latest news and engineering solutions. 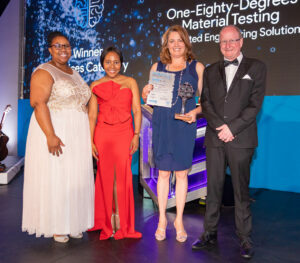 As a current Mechanical Engineering student at the Cape Peninsula University of Technology and an Intern at One Eighty Materials Testing my passion in this field is constantly rising day-to-day because of the vast knowledge and industry exposure supplied by our company to further understand every test conducted in the Labs. I enjoy greatly the effort applied by every member of our company in playing a role towards reaching targets and building one another up, I find to be a good quality that brings the best in my self to do exceedingly well. Technically I get to improve the skills enquired during my years in the University and, I gain more understanding of different aspects of Materials Sciences, it is very much interesting. Opposite my work schedule – I spent time with reading, researching and networking. I enjoy hiking, running and physical exercise activities. I studied mechanical engineering at Cape Peninsula University of Technology in Bellville campus. what is more interesting about engineering it is that it will forever be relevant from time to time. Being in the engineering field has always been my great desire with endless opportunities, the zeal to be exposed to different engineering problems and be the one who brings about the solution together with the curiosity of how things function drove me to pursue my engineering career. One Eighty has been that place where I practically got more enlightened in my career, everything is real, seeing from the problem throughout the solution. The offsite visitation was of great impact to me as an intern growing to become an engineer, it proves the reality and the need for engineers in our everyday life. One of my greatest motivation from one eighty is that it was initiated by a woman, somebody relevant to learn from. Apart from my work I spend most of my time doing music, I really enjoy singing it refreshes my mind and help me relax. My drive as a Mechanical Engineering student has always being involve in solving real life problems. Today, I am apart of one eighty engineering solution where we solve mechanical problems everyday even if it means cutting the piece into small pieces to find the solution we will do so until we find a solution. One thing that I have learned within this period I am in one eighty degrees is that we don’t leave anything without being solved and as a student my motto was if anything is created by man, it will always have a solution so there is nothing that is impossible unless you are lazy to think and research. 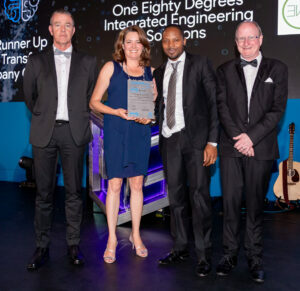 In one eighty engineering solution, I am currently a Female intern in Mechanical Engineering Department from CPUT. I am so grateful for the opportunity given unto us as a female intern by the company to pursue our dreams as engineers and seen every day my boss (female engineer) who is so passionate about engineering I get so encouraged each day as she takes charge, being able to change from heels to boots and overall not limited anything. In my spare time I am always looking for ways of bettering my life and people around me. I sometimes enjoy just going out for jog, stretch my muscle and dancing for the Lord. At an early age, the concept of mechanisms intrigued me. I discovered that the most complex machines, can comprise of an ensemble of mechanisms. Each mechanism performing its simple task contributes to the complexity of the machine. My curiosity turned into a passion for knowledge. The better I understood mechanisms, the more I wanted to find out. This pursuit of knowledge brought me to a career in Mechanical Engineering. My passion has always been about problem solving and researching. I am one of the interns in One eighty materials testing and it’s an honour to be part of this company. I am currently a student in Cape Peninsula University of Technology studying mechanical engineering, With the help of One Eighty I will be able to obtain National Diploma. In my spare time I like playing piano and my acoustic Guitar, Sometimes I hangout with my friends. I am a social person because I like learning from other people. I graduated from the University of Cape Town in 2011 with a BSc Degree in Microbiology and Biochemistry. I have always had an allure for all things Science- with a special attraction to the food and beverage industry, as well as the oil and gas industry. My professional experience ranges from being a scientific sales specialist within the healthcare industry, to working as a microbiologist for an IS0 17025 accredited food testing laboratory, running a PCR laboratory, as well as being promoted to the laboratory supervisor/manager for the same company. After passing the SANAS Technical Signatory assessment, my added role as a Technical Signatory within an ISO 17025 accredited laboratory led to my keen interest in Quality Assurance Management. When I am not managing the Quality Assurance side of the Company, my creative side takes precedence. You can find me with a camera in hand (photography is one of the biggest loves of my life), hiking, flower-market hunting, traveling and exploring the Mother City’s hidden gems, or simply sipping on a flat white in a quaint Cape Town side street Café. Paul Swanepoel has 39 years of extensive and diverse business experience in operational leadership, human resources, organisational development, change management, marketing, corporate governance (compliance), safety and security, due diligence and risk management (including financial risk exposure and profiling). He has a string of qualifications too long to mention, not least of all a MBA from Oxford Brookes in the UK, and a long list of awards earned in the SADF, National Intelligence Agency and in Security. Paul has consulted on an impressive list of national and global projects, and brings a wealth of invaluable business experience to One Eighty. I studied a BSc in mechanical engineering and worked as a HVAC consultant for a year afterwards, but always felt that I wasn’t finished learning on a deeper academic level. So I returned to UCT to satisfy my desire for research. For my MSc thesis entitled “Strain rate and density dependency of bovine bone in uniaxial compression”, I studied a number of courses from the Materials Science department. It was through this that I realised that I wanted a career that merged mechanical and materials engineering. One Eighty is the perfect place to do this. I have worked at One Eighty since early 2011 when the company had only four people. Since then, we have expanded to new offices, opened a materials testing laboratory and employed more staff, but still manage to retain the family atmosphere. The work is exciting with every job providing a fresh challenge and the satisfaction of solving the problem. In addition to the failure investigations, we also conduct longer term research projects, which I love to get stuck into. When I’m not working, I’m usually being bossed around by my very demanding toddler. My drive for being an engineer is the endless opportunities associated in terms of innovation and playing an active role in solving everyday engineering problems. Based on Newton’s third law (for every action there is an equal and opposite reaction), my motto as an engineer is that for every engineering problem there is a solution. 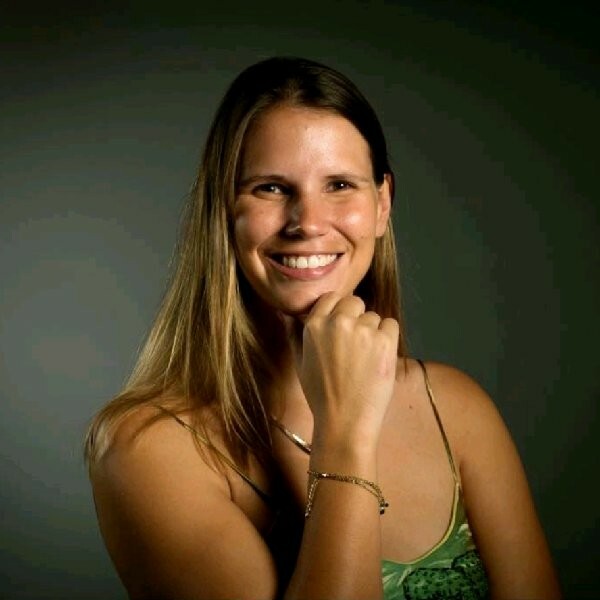 I studied chemistry and with a converging passion to see immediate solutions and create new applications in science and engineering, I pursued my studies in materials engineering. My research project was on third generation biofuels and their effect on polymeric fuel systems’ materials, which is probably the reason as to why I self-assign myself any polymer related job at One Eighty. I absolutely enjoy the dynamics of the company. The diverse aspects ranging from solving any problem to developing new products is one of the reasons I enjoy every single day working at One Eighty. I love the challenges and new perspectives that come with every job. I take delight in the opportunity that I have to derive and learn about new ways in which engineering problems can be counteracted. Being part of the One Eighty team enables me to pursue my growing interest in bringing innovation in the engineering world. On a more personal level, I enjoy the engaging mind-set that every member of the One Eighty team has. We regard ourselves as professionals who don’t stuff around and have a ‘right now Do, Solve and Create’ attitude! Opposite my engineering schedule, I spent my time in outdoor sporting activities like swimming and beach volley ball. I recently started karate which has brought great equilibrium in my life but most importantly another field in which I can excel! When I first studied business science, I was working in a company manufacturing engines for off-highway applications at the same time. I realised that the technical and engineering side is much more interesting for me. I wanted to understand the products that I was dealing with. That was the reason I decided to study engineering after I finished my degree in Business Studies. I am really happy that I made that decision 10 years ago. After my maternity leave and a move back to South Africa I started working for One Eighty. It is a great experience for me to work for a start-up business, as opposed to the companies where I worked before that had over 2000 employees. Everyone at One Eighty works very closely together. And there are so many opportunities to take the business further. It is amazing to see the company growing every month, and in my case as the Quality Manager to implement a quality system management based on international standards. I am very proud to be part of the One Eighty team. When I am not at work, I used to go hiking, play tennis and go skiing in the European Winter. But at the moment I am just busy with my very active 3 year old son and my baby daughter. My passion has always been to bring engineering and technology to solve real life problems. In order to give expression to this passion, I started up One Eighty in 2002. I enjoy solving problems in all areas of engineering and every time I am faced with a new problem or something I have not seen before I very much enjoy the challenge. One Eighty has been solving problems for over 14 years, whether a main engine failure, or corrosion of pipe systems, or selection of a new material for longer life in service, or providing expert witness work, or conducting tests to generate the required information about a material, part or component. I studied metallurgical engineering at UCT and obtained a PhD in 2000. My PhD was on the development of a novel high nitrogen stainless steel developed by Columbus Stainless called CROMANITE. As fate would have it they discontinued this alloy in the late stages of writing up my thesis, which I tried very hard not to take too personally. I continued with an academic career for two more years as a post-doctoral fellow at UCT where I conducted research on the optimisation of hot rolling schedules for Mittal, Hulett and Columbus. 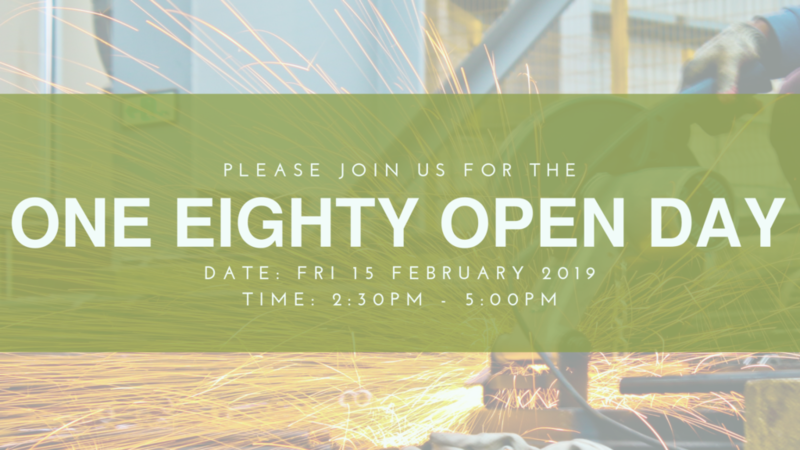 With a growing thirst to be out in the industry dealing with the real problems that manufacturers face on a daily basis, I ventured out and started up One Eighty Engineering Solutions (Pty) Ltd. Thereafter I followed a relatively lonely existence until 2005 when I was able to recruit my first employees. This was a result of extending my services as far afield as the USA, Europe for various orthopaedic device companies. Finally a big break came when I managed to secure a sizable fund for research on novel ceramic materials for orthopaedic devices and was then able to recruit additional staff members and grow the business further. Last year we managed to raise the funds necessary to start up our own metallurgical testing laboratory. Today we are the most modern, efficient and advanced laboratory, we believe in Africa, and are ready to continue to solve a broad spectrum of real life engineering problems with our new facilities. You can also read further about the dynamic team which now characterises the One Eighty Group. When I am not solving problems and building the business I enjoy getting out on the ocean to clear my head with wind and sea, and at the same time attempt to and compete in yacht racing, or perhaps cruising around a race course is a better description. Mostly I enjoy spending time with my wonderful daughter. From as early as I can remember, I was always fascinated with science and chemistry which ultimately led to me pursuing a career in Chemical Engineering. After matriculating in 2007, I enrolled for my national diploma in Chemical Engineering. During my 3rd practical year, I worked as a trainee at SAB Newlands in the brewing department which exposed me to the world of brewing, engineering, shift work and how to survive in a corporate environment. After graduating in 2010, I continued with my BTech in 2011, with the highlight of the year performing research on highly concentrated water in oil explosive emulsions with a super cooled dispersed phase. Starting with my masters in 2012 in the field of Nanotechnology, I got a taste of material science through particle analysis and graduated in 2014 after constructing and commissioning a pilot plant for continuous synthesis of metal oxide nanoparticles. Starting at One Eighty at the end of 2014, I have worked with a wide range of materials and have been involved in many exciting projects, including commercial research and development on a novel geopolymer material. Moving from a project engineer to a business development role has been an exciting challenge, and has exposed me to a large number of industries which fall under One Eighty’s client list. I enjoy building a working relationship with our clients and assisting with any technical issues, which has sharpened my problem solving abilities and has allowed me to gain a vast amount of experience in a short period of time. In my spare time I enjoy spending time with friends and family, playing rugby at False Bay rugby club with my ‘FIFO brothers’, a casual game of squash or tennis, or brewing a fresh batch of home-made beer. My passion for engineering grows every day at One Eighty. I have always been interested on how things work and why they work the way they do, this led me to choose mechanical engineering as a career. I joined One Eighty in 2013 as an intern in order to complete my National Diploma. From day one I have never experienced a dull day, challenges came flowing in which I took with enthusiasm and confidence. I enjoy applying my knowledge and skills on engineering problems. I like the feeling that comes with knowing that a problem is solved and I had great input into the solution. One Eighty is a very diverse company which gives me the opportunity to prove my abilities. I spend my spare time with friends or at the gym. I always have a smile on my face because I love people and the world we live in.